Little girls are often lost in their own little worlds, playing princesses and slaying their own dragons, with their shiny armors and glittery tiaras. They don’t need Halloween to roll around in order to dress up and shine, for every day is Halloween when you’re having fun impersonating your favorite heroes. However, there is a strict divide between little girls who wear their costumes in the comfort of their own surroundings and little girls who are sparkled and shined for beauty pageants. Not only are girls from the latter group exposed to a completely different lifestyle with constant hair, makeup checks, and camera attention, but they’re also more vulnerable to developing eating disorders and body dissatisfaction. A Huff Post article presents interesting data regarding the prominence of body dissatisfaction in young girls. First of all, it states that eating disorders are becoming prominent in “children as young as 6 years old,” and that 10-year-olds are now going on diets. Additionally, it states that 50% of girls in the 11-16 age group have considered undergoing cosmetic surgery. Given these striking statistics on young girls, it wouldn’t be completely wrong to assume that children who participate in beauty pageant experience some levels of anxiety and concern regarding their appearances. A 2005 study conducted by Anna L. Wonderlich from the University of Minnesota and fellow researchers Diann M. Ackard and Judith B. Henderson sought to examine the correlation between “adult disordered eating, body dissatisfaction, depression, and self-esteem.” The study used data collected from 22 women: 11 of whom had participated in a beauty pageant during their childhood and 11 who hadn’t. While results for the two groups didn’t vary wildly in terms of bulimic tendencies, body perception, depression, or self-esteem issues, participants who had partaken in childhood beauty pageants expressed greater body dissatisfaction. 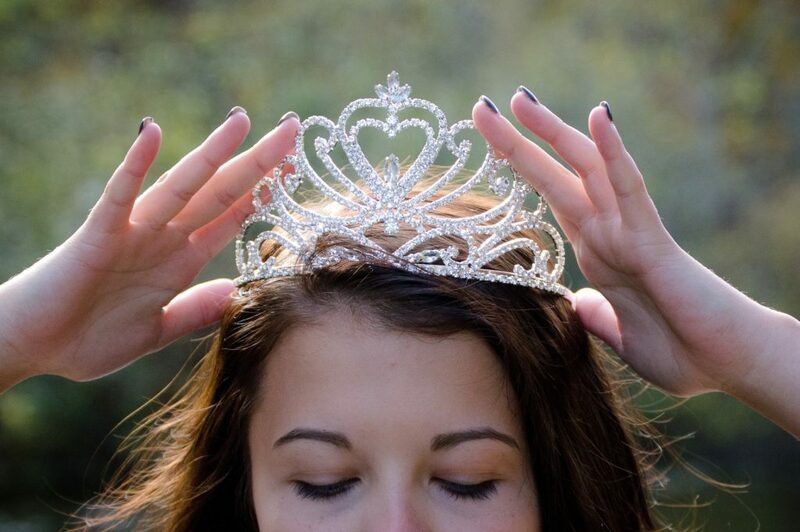 Another perspective taken on this issue is the hypersexualization of young girls by beauty pageants and shows like Toddlers and Tiaras and their contribution to the development of eating disorders. In a CNN article, Melissa Henson (director of Grassroots Education and Advocacy at the Parents Television Council) accuses the show Toddlers and Tiaras of sexualizing young contestants and argues that it leads to eating disorders, depression, self-esteem issues, and decreased aspirations for STEM fields. In our current society, children are exposed to a plethora of information through social networks and media sources. While it is important to ensure that younger generations are knowledgeable and aware, exposure to social expectations on beauty and sexuality can often be detrimental to their perception of themselves and the world around them. As a result, child beauty pageants have the potential to pose a great threat, which may stay with them for decades to come, to their young contestants. Henson, M. (2011, September 13). ‘Toddlers and Tiaras’ and sexualizing 3-year-olds. CNN. Retrieved October 1, 2018, from https://www.cnn.com/2011/09/12/opinion/henson-toddlers-tiaras/index.html. L Wonderlich, Anna & Ackard, Diann & B Henderson, Judith. (2005). Childhood Beauty Pageant Contestants: Associations with Adult Disordered Eating and Mental Health. Eating disorders. 13. 291-301. 10.1080/10640260590932896. Perry, C. (2011, August 2). Sexualization of Young Children Linked to Eating Disorder Development. Huff Post. Retrieved September 30, 2018, from https://www.huffpost.com/entry/sexualization-young-girls-eating-disorders_b_906192.